Ivan Mackerle–Czech cryptozoologist extraordinaire–was well-known throughout the 1980’s for his work on the Loch Ness monster. But around 1990, his eye turned east, away from wet, green Scotland to the dry sands of the Gobi desert. There was a creature there that the western world had only heard about 50 years before–a species of monster that had never been photographed, and for which physical evidence had never been found, but which the Mongolian nomadic tribes feared and swore was real. Mackerle aimed to find it. His guide warned him that it would not be safe. Some years ago, the guide said, he had been on a team with another scientist, a geologist visiting the Gobi as part of a field trip. One night the geologist, bored and deep in thought, idly poked an iron rod into the sand. He screamed and crumpled half a second later, dead before he hit the ground. His horrified friends rushed forward to see what had happened, but stopped short when the earth beneath the corpse began to churn. Something heavy and red crested through the sand, and then out burst a fat, hideous, writhing thing: thick as a man’s arm, eyeless, angry. 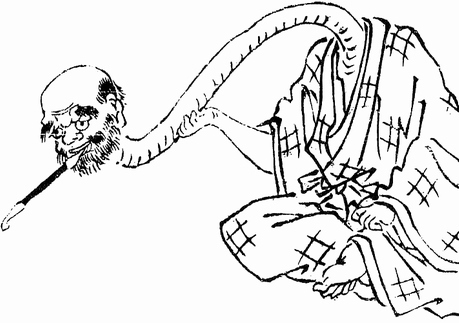 It was the olgoi-khorkhoi, the large intestine worm, or, as it was known to the west: the Mongolian death worm. Mackerle knew the score. The death worm–reported to grow to almost three feet in length–was said to so aggressive and dangerous that you’d be a fool not to flee from it, never mind look for it. It not only spat a thick yellow acid strong enough to corrode metal; it was said to be able to send electric shocks powerful enough to wipe out an entire herd of camel. Indeed, camel and other livestock were some of its main prey: after they were dead, it would lay its eggs in their intestines, baptizing its spawn blood-red for life. Andrews swept all over the Western and Southern Gobi, but failed to find anything. He concluded that the creature must just be a myth. Mackerle wasn’t so sure. Contrary to Andrews’ experience, he was finding that people did not want to talk so much about the worm anymore. They seemed afraid. That just made him want to find it more. Mackerle gathered enough information to learn that the worm was active mostly in June and July–the hottest months of the year, where temperatures could hit 122 degrees Fahrenheit. He noted that the worm was said to hang out around the strange parasitic plant goyo, from which it might derive its poison. He thought it might leave marks in the sand as it passed–the only warning a traveler might get before it thrust out, bloated, and exploded acid in their face. He borrowed a page out of Dune and tried to summon the creature with vibrations, then with explosions. Nothing ever came. Still, the whispered rumors of the Mongolian nomads infected him–the creature had to be real, he thought. He couldn’t stop looking. He came back in 1992, this time with more cameras and video equipment to make a documentary. Monks at a buddhist monastery warned him to stop. The creature, they said, was supernaturally evil, and should not be pursued. His life was in danger. Mackerle didn’t listen. There were too many mysterious deaths, too many second-hand stories that coincided too well. Andrews had failed, but he wouldn’t. He was Mackerle, the great cryptozoologist. Then, one night, he visited the chilly white sands of the Gobi in his dreams. There, at last, he saw the great, red, terrible beast. When he awoke, there were blood-filled boils down his back. Mackerle never found the worm. Nor did his successors in 2005, 2007, and 2009. Perhaps the creature lived in the forbidden area along the China-Mongolia border, some said. Others claimed it might be a cover-up: conspiracy theories cited a rumor that someone had actually captured a dead specimen, only to have it stolen away by Russian scientists. Regardless of the reason, no one could argue with the result. There was (and still isn’t, to my knowledge) not one shred of proof that the Mongolian death worm existed: even with all modern technology, not so much as a blurry photograph. Biologists argue that the worm probably could not exist. There are no known land animals that can produce an electric shock–that’s the domain of electric eels and other fish. They also say that the worm could not actually be a *worm*…something that large would need a vertebrae, never mind some kind of outside protection to be able to survive the arid desert. Perhaps the worm is a misidentified snake, or some kind of legless lizard. But if that’s the case, why have we never seen a body? Wouldn’t the desert preserve it perfectly? Some argue that if the Mongolian death worm ever lived, the lack of recent sightings signal that it’s now gone extinct. I am not so pessimistic. The Gobi desert is rapidly expanding, swallowing 1,390 square miles of grassland a year on its southern edge alone. As usual, humans are to blame. As the sands creep toward more densely populated territory, other things might creep with them. We might get our death worm picture sooner than you think. What’s the best Instagram filter to bring out the color red? Have you ever spat into someone’s face before? How about laid your eggs in their intestines? Share your story in the comments below. As the world transitions to autumn, let’s take a moment to celebrate this wonderful window between the mad heat of summer and the dark desperation of winter. This week, let’s give ourselves a break; let’s study a monster that does not threaten grievous bodily harm! In fact, our subject might even help someone, though it is so odd it might also induce an existential crisis. You might ask “what in the good **** is that?”; I certainly did, and so did visitors to central Asia during the fourth through to the nineteenth century. Legend has it that there was a plant there with a bit of an odd flower–one that walks, eats, and bleats. Called variously the Borametz, the Scythian Lamb, and (my personal favorite) the Vegetable Lamb of Tartary, this fellow was said to be born from the fruit produced by a particular fern, destined to live out its days munching on the flora within reach. A vine-like “umbilical cord” attached to its belly limited the lamb’s range of motion; it could not be separated from its parent fern, or it would perish. Details about how long this cord could reach vary, but once the food within its circumference of it ran out, the lamb would die. Then predators–wolves or, every now and again, humans–could jump on the borametz and eat it. Rumor has it that its blood tasted like honey, and its wool was of the same or better quality than any other, more conventional sheep. Though this might seem fanciful, tales of the borametz appeared in Jewish folklore as early as 436 A.E.. Back then it was called the Yeduah, was similarly attached to the earth by a stem, and could only be collected if said stem were severed via the use of arrows or darts. This version of the creature had bones that could be used in prophetic ceremonies, and so was valuable beyond being livestock and/or garden. Unfortunately, this version also had a counterpart–the Faduah, a human-shaped type of borametz that would strangle anyone who came within reach. You can hardly blame him for being cranky; it seems that every iteration of the borametz legend involves man taking advantage of the the creature’s helplessness, whether it be slaughtering a sheep on a stem, or slicing gourds open to harvest the lambs within. A number of people have tried to find their own borametz over the centuries, with varying degrees of success. Variations on the gourd-centered legend trickled back from Persia in the 14th and 15th centuries, with explorers trying to make sense of what seemed to be both a living animal and plant. Sir John Mandeville was the most colorful of these adventurers, and is credited with bringing the first tales of the vegetable lamb to the English public attention. Unfortunately, he is also credited with being embellisher extraordinaire. In the mid 16th century, Sigismund von Herberstein presented a more trustworthy, detailed account of the creature to Emperors Maxamillian I and Charles V. He said that it lived near the Caspian Sea, stood two and a half feet tall, and did not have normal blood and wool, but flesh more like a crab than a lamb. This incited other adventurers to look more closely for it, as well; Henry Lee would collect all the legends in his 1887 book The Vegetable Lamb of Tartary, which would become a sort of bible on the subject. But even with all the hubbub, did any objective observer ever actually find a Vegetable Lamb? The short answer, alas, is no. It might very well be that the borametz is nothing more than a wildly imaginative interpretation of the Indian cotton plant, or the giant fern cibotium barometz, which also has a fuzzy rhizome that might be interpreted as wool. This makes sense, of course…if the borametz existed, why wouldn’t everyone immediately try to plant it in their gardens? It would certainly be one way to get your kids to eat their vegetables. * It’s possible also that the creature existed, but went extinct before anyone could get bring back proof. Or…the Vegetable Lamb of Tartary really was the giant fern cibotium barometz all along…but that fern is not what we think it is. If you’re ever in the forests of central Asia, watch your back. Have you ever encountered a plant that walked, baa-ed, or bled? What’s your favorite sinister flora? Share your thoughts in the comments below. *Or make them terrified of them for the rest of their lives. Either way, the borametz is sure to have an impact.